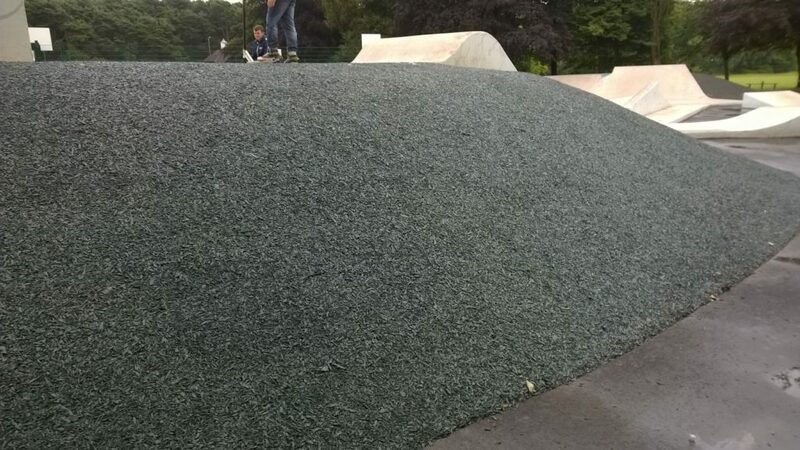 Here at PlaySmart, we believe that JungleMulch is the perfect solution for providing long lasting, colourful, and slip resistant safety surfacing for mounded areas in skate parks. We recently completed surfacing for a new state-of-the-art skate plaza for Cannock Chase Council ready for the summer holidays. The site is now one of the best skate destinations in Staffordshire and caters for BMXs, skateboards, scooters, and rollerblades. The park is part of a larger multi-million-pound project seeing investment from a Heritage Lottery Grant, with funding from the local council, Staffordshire Environmental fund, and St. Modwen. Hopefully, the new facility will continue to be used and loved by residents for many years to come. 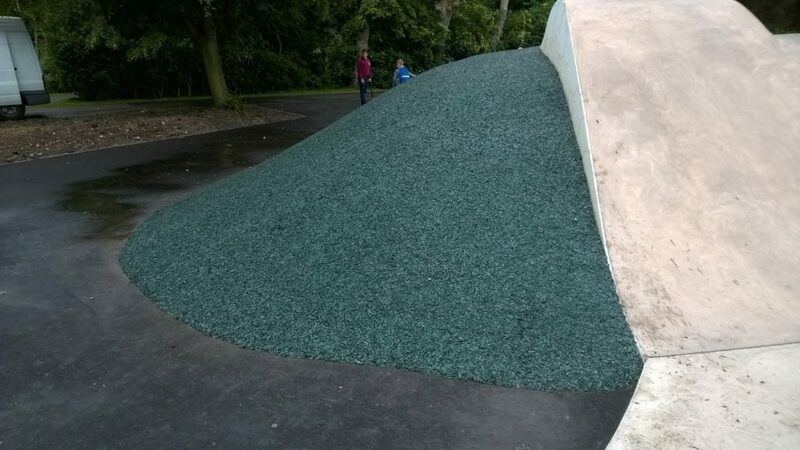 If you’d like advice on using JungleMulch as a skate park surfacing solution for mounded areas, or for surfaces of any kind, please feel free to get in touch with us! You can reach our experienced team directly via the contact page, or call us on 01564 742811. We’ve even produced a handy guide on grassmats as another eco-friendly, outdoor flooring option. It’s completely free and you can download it here.